After receiving rave reviews from his sold out SGF2017 performance, Canadian born but Aussie based Brian Campeau will reprise his ‘Get Blind With Brian!’ show. A unique performance featuring his complex playing and long, sorrowful vocals, all mixed into his odd sense of humour. Prepare to really listen to Brian. You’ll have no choice as the audience is to be blindfolded! 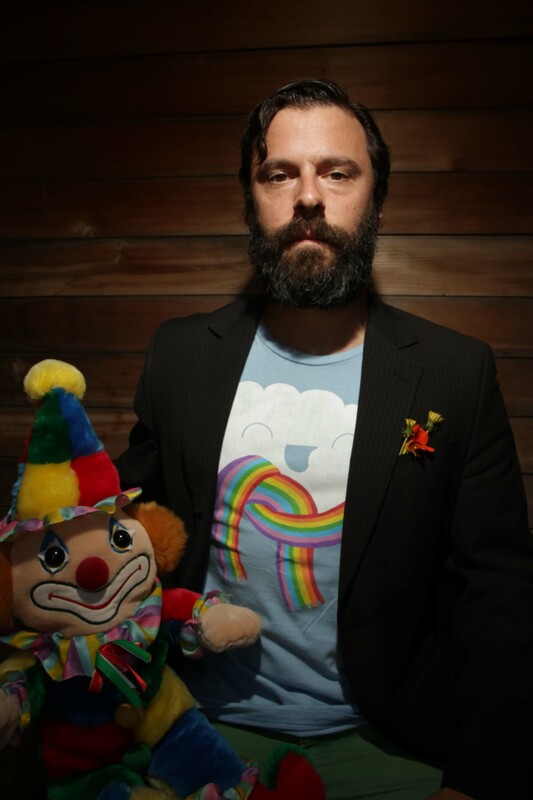 Brian Campeau is mostly known for his complex guitar playing accompanied by long sorrowful vocals. He is much less known for his charm and willingness to please his audience. That’s because some people don’t like his sense of humor, but that’s ok, right? We asked Brian some questions ahead of his unique performance at the Sydney Guitar Festival. What is your most memorable music moment? Larry Lalonde comes to mind. Everyone always thinks of Les and Herb when it comes to Primus, but Larry’s role is hugely crucial. Show: Get Blind with Brian! The Sequel.